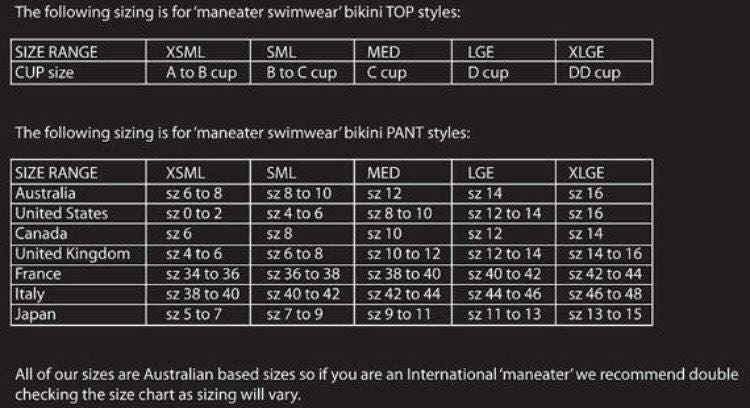 35%OFFSALE *** MissManeater REDLIGHT sliding halter boutique bikini top with zip trim detail *** ADJUSTABLE coverage! Made from the highest quality wetlook spandex, this top is lined with BLACK for a high quality finish. We LOVE our MissManeater signature REDLIGHT boutique bikini pieces!!! Stop them in their tracks in MissManeater REDLIGHT collection! What is your #maneaterATTITUDE?? ?